These days, we can save our files to flash drives, iPods, and the ever-present cloud. But old-fashioned optical media still has one advantage over other storage methods––you can easily label your discs to see their contents at a glance. When a Sharpie isn’t the right tool for the job, use your Mac and a printer to create labels. Professional-looking labels can help make your next CD or DVD a unique work of art, or simply much easier to read when you’re hunting for that important file. Here’s how. This can be as simple as buying a pack of Avery disc labels and downloading its free template file. Media label packs range in price from about $11 to $75 and are available with jewel case inserts, DVD case sleeves, and other extras. Avery’s templates are compatible with iPhoto, Adobe's desktop publishing applications, and applications that can open Microsoft Word files (such as Apple's Pages). But if you don’t have one of these programs, you can use Avery’s free online tools to create labels. If you plan to label several discs, a label applicator ($11) makes a smart investment. They look like oversized drink coasters and hold your sticker and disc in place so they both align perfectly. You can eliminate the need for stickers by printing directly onto specially coated CDs and DVDs. To do so, you’ll need a conventional printer that can print to optical media, a dedicated disc printer, or an optical drive that burns both data and labels to your discs. 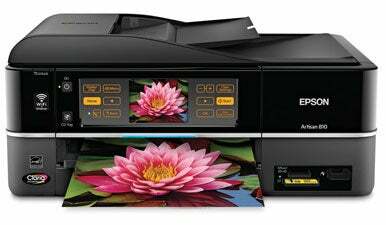 Macworld has reviewed Epson’s Artisan 810 ($300) all-in-one inkjet printer and gave it high marks for speed and photo printing. But it also prints on discs. If you don’t need the 810’s scanning features and touchscreen controls, consider the Artisan 50 ($130) which also prints to discs as well as traditional media. The Artisan 810 includes CD and DVD label printing in its long list of features. If you don't want to tie up your office printer, bring disc printing to your desktop with the DiscPainter ($280). It’s not much larger than a stack of DVD cases and prints directly on a disc in about a minute, or up to three minutes depending on your design and print quality. When buying blank media to use with these printers, be sure to buy inkjet-printable discs. They’re more expensive than traditional discs, but the convenience of not hassling with labels may be worth it. For the ultimate space saver, consider a DVD-burning drive––like LaCie’s d2 DVD±RW ( ) with LightScribe ($110). LightScribe drives can etch greyscale images and text to CDs and DVDs with the same laser that burns your data––just flip the disc (so its label side is facing down) and etch its label. Depending on the complexity of your label’s design, etching can take as long as half an hour, but simpler designs should take just a few minutes. Making labels with LightScribe-capable drives requires special LightScribe-compatible discs. This media is more expensive than ordinary discs, but LightScribe drives will burn data normally to traditional discs as well. Page layout and word processing applications give you plenty of tools, and templates built into iTunes let you print playlist data and images to labels, but a dedicated label-making program can offer the best of both worlds. These applications include templates for DVD booklets, jewel case inserts, and many more documents to work with label packages from a wide variety of manufacturers. 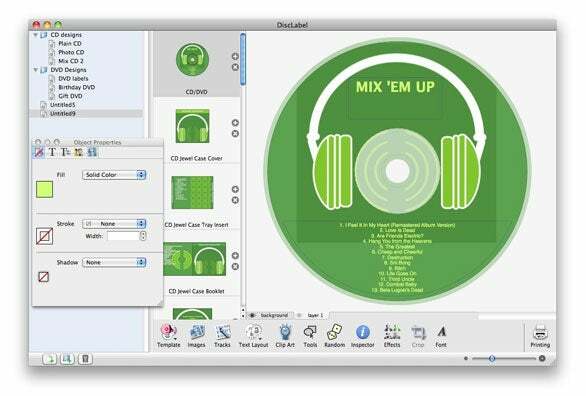 Disc Cover ($35) offers extensive integration with your iLife library––you can even add iDVD slideshow pictures and a thumbnail of your DVD’s menu to your projects. A Cover Flow-like browser lets you pick from a wide range of pre-made layouts, and a large, well-organized clip art collection rounds out the package. 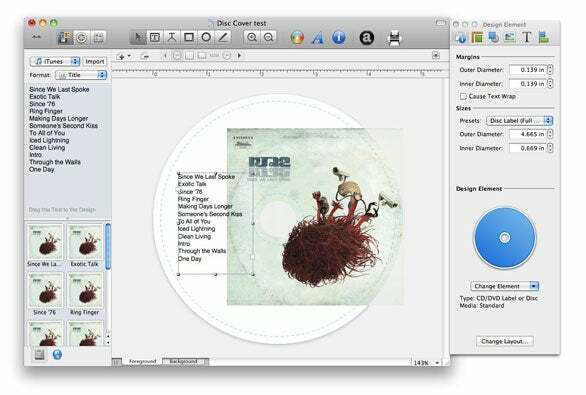 Disc Cover’s iLife-like layouts put your iTunes tracks and even iDVD pictures a click away. 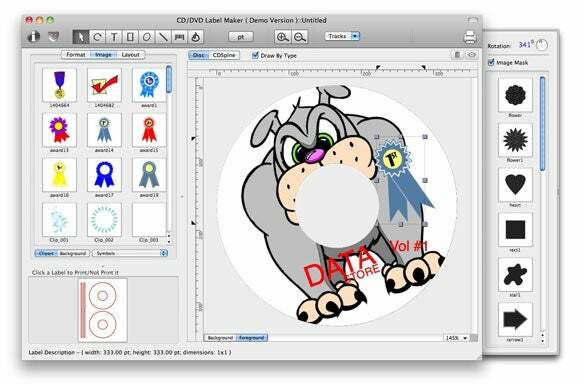 The extensive library of clip art and pre-made designs in CD/DVD Label Maker ($30) help get your label started, and the ability to generate barcodes for your designs is a handy extra. But lack of iLife integration (though it does support imported iTunes track data) and lack of drag-and-drop support for adding images to projects are unfortunate oversights. CD/DVD Label Maker offers a simple interface, but its integration with popular Apple apps is limited to iTunes. Macworld's original review of DiscLabel ($36) praised its iLife integration, and little has changed. Plenty of clip art and templates are available, and the program can generate new designs for you with a click. You can even save and organize your projects in an iTunes-like sidebar. While the program’s busy interface takes some getting used to, a generous preview window simplifies printing. DiscLabel’s sidebar lets you switch quickly among your projects. But your software choices don’t end there. Discus and Label Printer Pro offer similar features and, like the applications above, offer limited trial downloads so you can try them out before you buy.